In April 1916, shortly before the commencement of the Battle of the Somme, a fire started in a vast munitions works located in the Kentish marshes. The resulting series of explosions killed 108 people and injured many more. In a brilliant piece of storytelling, Brian Dillon recreates the events of that terrible day – and, in so doing, sheds a fresh and unexpected light on the British home front in the Great War. He offers a chilling natural history of explosives and their effects on the earth, on buildings, and on human and animal bodies. And he evokes with vivid clarity one of Britain’s strangest and most remarkable landscapes – where he has been a habitual explorer for many years. The Great Explosion is a profound work of narrative, exploration and inquiry from one of our most brilliant writers. Why are we fascinated by ruins? They recall the glory of dead civilisations and the certain end of our own. They stand as monuments to historic disasters, but also provoke dreams about futures born from destruction and decay. Ruins are bleak but alluring reminders of our vulnerable place in time and space. For centuries, ruins have attracted artists: among them J.M.W. Turner, Gustave Doré, Paul Nash, Graham Sutherland, Patrick Caulf eld, Tacita Dean, and Jane and Louise Wilson. 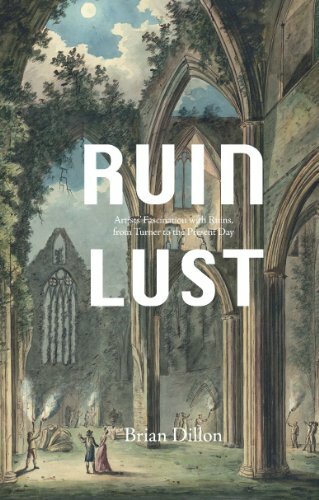 Ruin Lust explores the history of this obsession, from the art of the picturesque in the eighteenth century, through the wreckage of two world wars, to contemporary artists complex attitudes to the ruins of the recent past. Curiosity: Art and the Pleasures of Knowing draws on the work of the eclectic, quarterly magazine Cabinet to explore the notion of intellectual and creative curiosity across periods, genres and fields. Compiled in association with academic, editor and author Brian Dillon, this richly illustrated book explores objects, artworks and narratives drawn from a wide variety of disciplines – scientific, occult, anthropological, aesthetic, technological and sexual – taking as its guide a sensibility that developed in Europe in the early-Modern period and tracing it at work in disparate historical contexts. 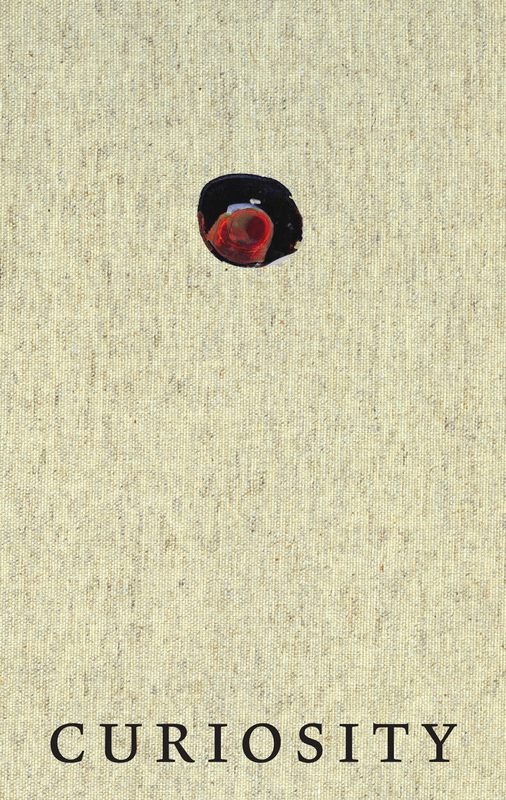 With an emphasis on contemporary art’s return to cross-disciplinary, intellectual and aesthetic freedom, ‘Curiosity’ comprises works ranging from the films of Tacita Dean to the photographic investigations of Gerard Byrne, and Adam Broomberg and Oliver Chanarin, alongside historical ‘curiosities’, including drawings by Leonardo da Vinci and office equipment from the secret heart of the Cold War. 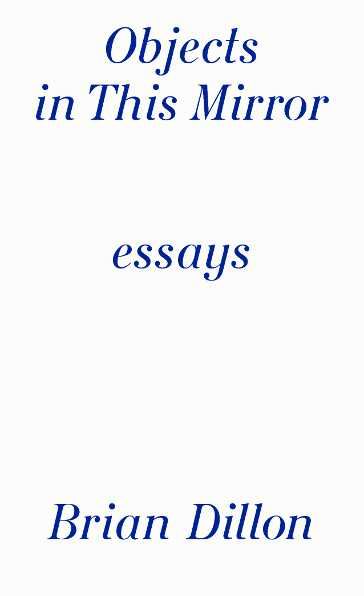 Includes essays by Marina Warner and Brian Dillon, extensive commentary on individual works and an eclectic anthology of writings on ‘curiosity’. Artists include Adam Broomberg and Oliver Chanarin, Agency, Anna Atkins, Aura Satz, Aurelien Froment, Charles Le Brun, Corinne May Botz, Gerard Byrne, Gunda Forster, J.M.W. Turner, Jeremy Millar, Katie Paterson, Laurent Grasso, Leopold and Rudolph Blaschka, Matt Mullican, Nicolaes Maes, Nina Katchadourian, Pablo Bronstein, Philip Henry Gosse, Richard Wentworth, Robert Hooke, Roger Caillois, Tacita Dean, Thomas Grunfeld, Toril Johannessen. At 10 am on Saturday, 10 December 2011, author Brian Dillon sat down at Cabinet’s gallery space and began writing a book. By 10 am the next morning, the completed book was at the printers and is now available to readers. The inaugural volume in Cabinet’s new “24-Hour Book” series, Dillon’s book explores the scenography and architecture of writing itself. Inspired in part by Georges Perec’s short fragment in Species of Spaces on Antonello da Messina’s painting of St. Jerome in his study, Dillon’s text is both a personal reflection on the theatrics of the study, the library, and the office, and a historical consideration of the paraphernalia associated with celebrated writers, from Flaubert’s divan to Proust’s bed, from Leibniz’s card cabinet to Thomas Wolfe’s refrigerator desk. 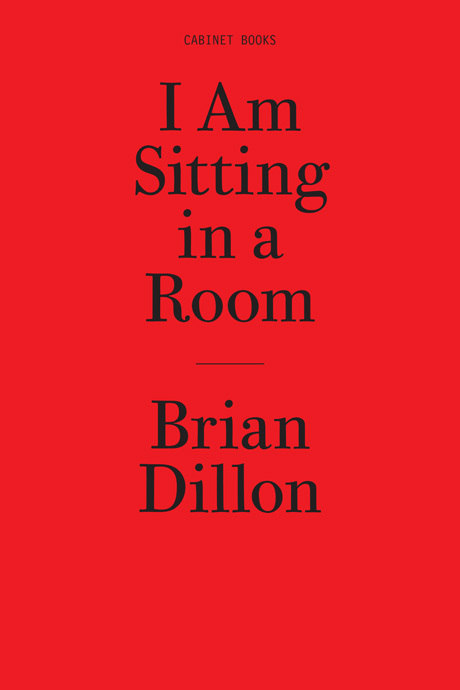 This first book in Cabinet’s series is also accompanied by Reception Rooms: An Anthology of Recent Responses to Brian Dillon’s I Am Sitting in a Room, a critical volume similarly produced under apparently prohibitive time constraints. At the precise moment Dillon’s tome was completed on Sunday morning, Princeton University’s Interdisciplinary Doctoral Program in the Humanities (IHUM) invited a group of faculty and graduate students to read and respond to it within twenty-four hours. The respondents’ “encounters” were themselves gathered into a volume ready for printing by 4:30 pm on Monday, 12 December, in time for a symposium considered the past, present, and future of such experiments in the radical compression of culture. This companion volume is also available for purchase. Inspired by literary precedents such as automatic writing, by the resourcefulness of the bricoleur making do with what is at hand, and by the openness toward chance that all artistic production under severe constraint must necessarily incorporate, Cabinet’s new series will invite a number of distinguished authors and artists to be incarcerated in its gallery space to complete a project from start to finish within twenty-four hours. The “ruins” of the modern era are the landmarks of recent art’s turn toward site and situation, history and memory. The abiding interest of artists in ruination and decay has led in particular to the concept of the modern ruin–an ambiguous site of artistic and architectural modernism, personal and collective memories, and the cultural afterlife of eras such as those of state communism and colonialism. Contemporary art’s explorations of the ruin can evoke on the one hand diverse experiences of nostalgia and on the other a ceaselessly renewed encounter with catastrophes of the recent past and apprehensions of the future. For every relic of a harmonious era or utopian dream stands another recalling industrial decline, environmental disaster, and the depredations of war. 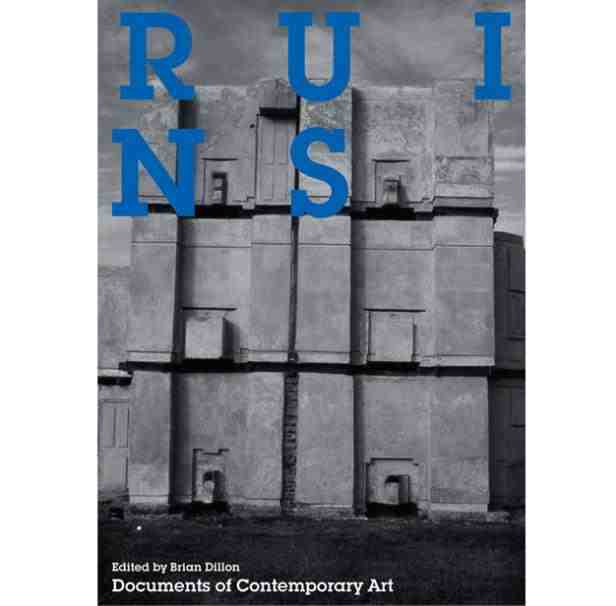 This anthology provides a comprehensive survey of the contemporary ruin in cultural discourse, aesthetics, and artistic practice. It examines the development of ruin aesthetics from the early modern era to the present; the ruin as a privileged emblem of modernity’s decline; the relic as a portal onto the political history of the recent past; the destruction and decline of cities and landscapes, with the emergence of “non-places” and “drosscape”; the symbolism of the entropic and decayed in critical environmentalism; and the confusing temporalities of the ruin in recent art – its involution of timescales and perspectives as it addresses not just the past but the future. Sanctuary is a fiction set in the ruins of a Modernist building on the outskirts of a city in Northern Europe. The structure, a Catholic seminary built in the 1960s and abandoned twenty years later, embodies the failure of certain ambitions: architectural, civic and spiritual. But it is the site too of a more recent disappearance. A young artist, intent on exploring the complex and its history, has gone missing among the wreckage. Months later his lover visits the place, unsure what she is looking for, and finds herself drawn into the strange nexus of energies and memories that persist there. Sanctuary is a story about what survives – of bodies, ideas, objects and the artistic or literary forms that might describe them – in the wake of catastrophe. Invoking key works of the last century – the fiction of Samuel Beckett and Alain Robbe-Grillet, the art of Robert Smithson, the films of Alfred Hitchcock, Chris Marker and Andrei Tarkovsky – it maps a small but resonant portion of the ruins of the recent past. The Hypochondriacs: Nine Tormented Lives (Faber & Faber Inc., 2010). 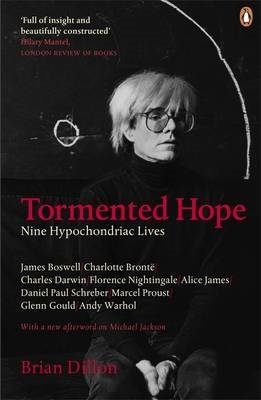 Published in the UK as Tormented Hope: Nine Hypochondriac Lives (Penguin, 2009). Charlotte Brontë found in her illnesses, real and imagined, an escape from familial and social duties, and the perfect conditions for writing. The German jurist Daniel Paul Schreber believed his body was being colonized and transformed at the hands of God and doctors alike. Andy Warhol was terrified by disease and by the idea of disease. Glenn Gould claimed a friendly pat on his shoulder had destroyed his ability to play piano. And we all know someone who has trawled the Internet in solitude, seeking to pinpoint the source of his or her fantastical symptoms. The Hypochondriacs is a book about fear and hope, illness and imagination, despair and creativity. It explores, in the stories of nine individuals, the relationship between mind and body as it is mediated by the experience, or simply the terror, of being ill. And, in an intimate investigation of those lives, it shows how the mind can make a prison of the body by distorting our sense of ourselves as physical beings. Through witty, entertaining, and often moving examinations of the lives of these eminent hypochondriacs—James Boswell, Charlotte Brontë, Charles Darwin, Florence Nightingale, Alice James, Daniel Paul Schreber, Marcel Proust, Glenn Gould, and Andy Warhol—Brian Dillon brilliantly unravels the tortuous connections between real and imagined illness, irrational fear and rational concern, the mind’s aches and the body’s ideas.